Would You Live in a Plastic House? For years we’ve heard how bad plastics are for the environment supported by countless stories of landfills overflowing with plastics, deadly toxins and hormonal disruptors, and a huge floating island of plastic trash in the middle of the Pacific Ocean. And now the plastic industry wants to build houses out of the stuff? Is it time to break out the picket signs and start protesting? Not so fast. Apparently, these aren’t your grandfather’s plastics anymore. According the American Chemistry Council, modern plastic building materials are much safer and efficient than their ancestors. 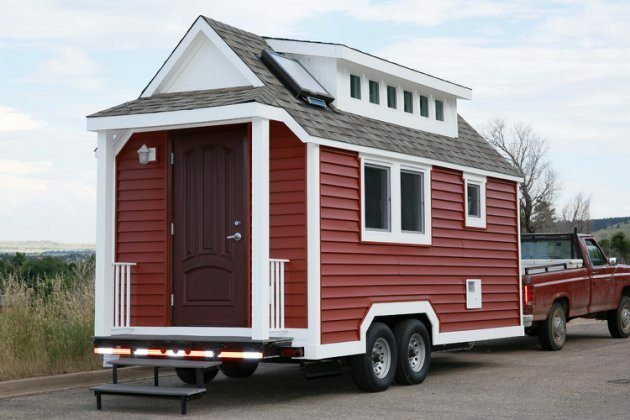 The Plastics Make It Possible campaign built an experimental 200-foot tiny house to demonstrate the many benefits of building with modern plastic materials, many already used in housing construction today. Source: Would You Live in a Plastic House?